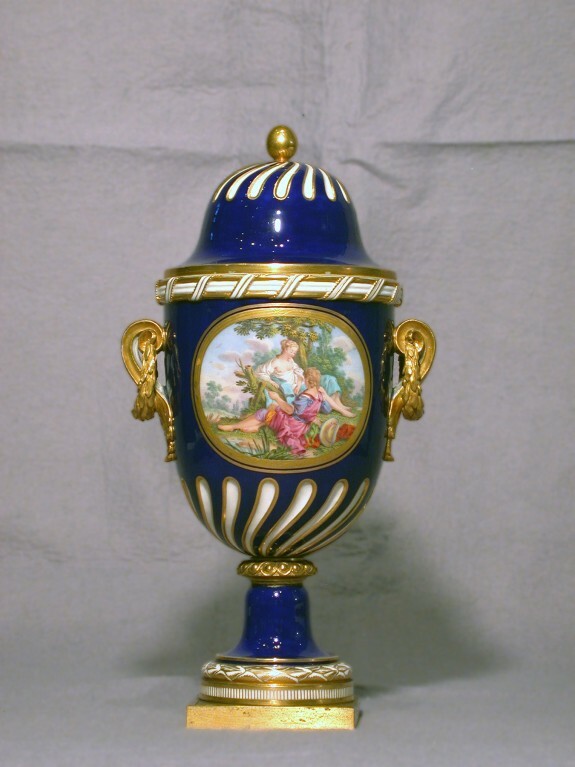 Description This vase and its pair (48.625), are decorated with the "bleu nouveau" ground color and have handles in the form of rings of laurel leaves. 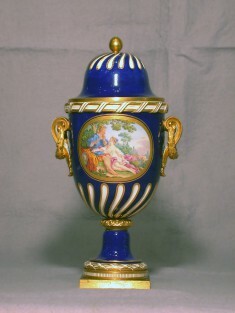 The vases are decorated with panels showing amorous shepherds and shepherdesses. Pithou the elder painted these scenes after Francois Boucher's paintings "La Musique pastorale" and "Les Amusements de la campagne" (1743). Provenance Collection of Sir Anthony Rothschild [according to Hodgkins, remains to be verified]; E. M. Hodgkins Collection, Paris, no. 51 [date and mode of acquisition unknown]; A. Seligmann, Rey and Co., New York; Henry Walters, Baltimore, 1928, by purchase; Walters Art Museum, 1931, by bequest.